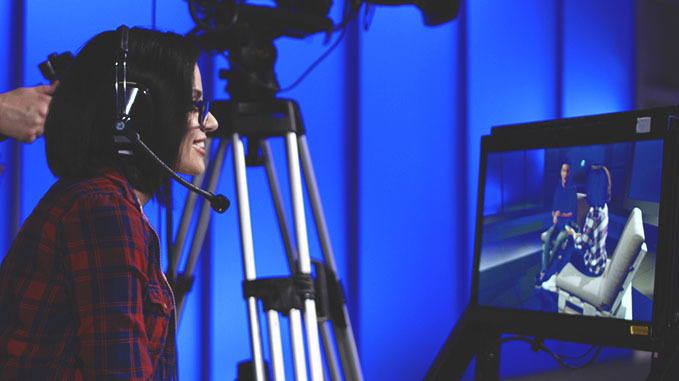 WilliNet offers all community members & non-profit organizations free one-on-one training around all aspects of studio & field video production. Learn how to operate WilliNet’s equipment: cameras, microphones, & our studio control room. We’ll teach you post-production editing & how to post your videos to the web. We ask only that you share your finished productions on WilliNet-TV! Email info@willinet.org or call (413) 884-3309 to get started! WilliNet offers production training to non-profit organizations. Learn how to videotape your events for telecast and the web. Borrow WilliNet’s cameras and microphones to record presentations, meetings, street events, and interviews. We’ll teach you how to deal with challenging audio situations and teach you post-production editing using sophisticated graphics, your logo, and music. Learn the art behind directing a live (or live-to-tape) studio shoot, including communicating with your crew effectively, switching between camera shots seamlessly, & calling up graphics that enhance your final production. You’ve shot some video but now what? Learn the basics of editing using Final Cut Pro X, an advanced digital video-editing program designed to help you create professional-looking videos. We can teach you media management, how to import and capture footage, edit in a timeline, & add video and audio effects using multiple tracks.